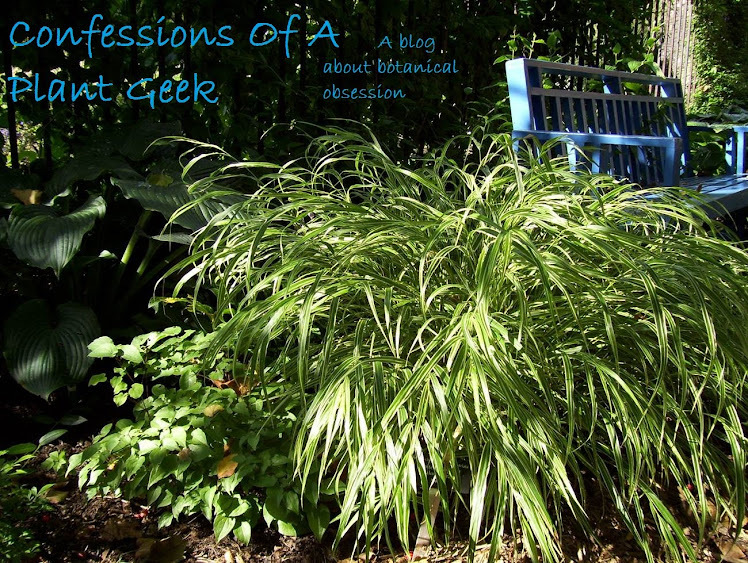 Confessions Of A Plant Geek: What HAVE I been doing?! I've been a terrible garden blogger this year. I haven't written any posts since May! So, what have I been doing with myself? Painting, cleaning, fixing lots of stuff and ripping out pretty much every plant in my yard and re-landscaping to get the house ready for sale. So my entire summer has been taken up and left me with little time to be excited about cool plants! We're hoping to move to a larger property which = more room for cool plants, which = more blog posts! We're mostly done, so hopefully I can get back on track and start posting more. Pics of my boring new landscape to follow... stay tuned! Excellent website, congratulations for what you're doing here. So glad to see you're still around...I had begun to wonder! Understood...moving is so much work (not to mention stressful). Can't wait to see your new place! We have to get this place sold before we get a new place. The goal is 10 acres. How are the plants I sent you doing? 10 acres!!! I'm kinda crazy-jealous right now! They plants are all doing well...even though we haven't finished the green roof yet...so they are still un-planted :-( I figure it may be for the best...since our winters are wet and mild...they'll probably have a much easier time establishing during our winter (especially as hot as our summer has been). The Delosperma just bloomed the other day and BOY is it bright...I'm in love with it! I'll definitely post photos once it's all planted up (man, can't wait). Any way...good luck with the move! Here's hoping to see more of your new boring landscapes Nick.